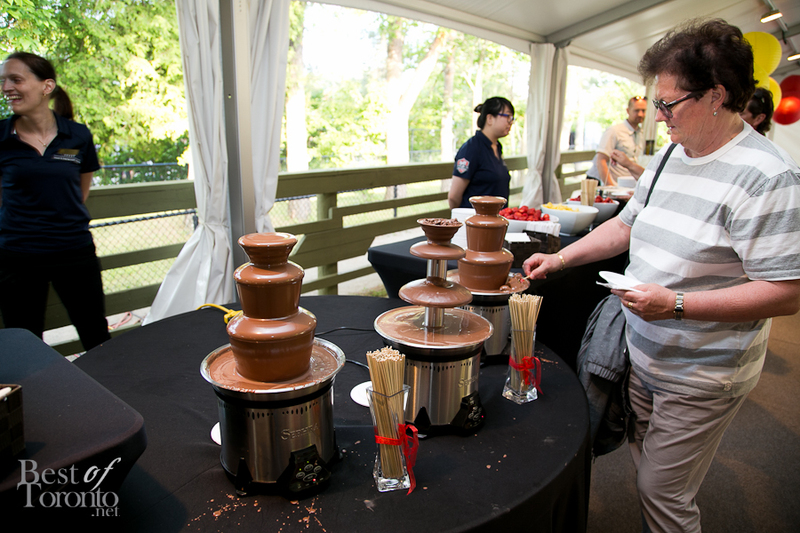 Once again, it’s already obvious that the Seafood for Thought event at the Toronto Zoo is one of the best events in Toronto of the year. 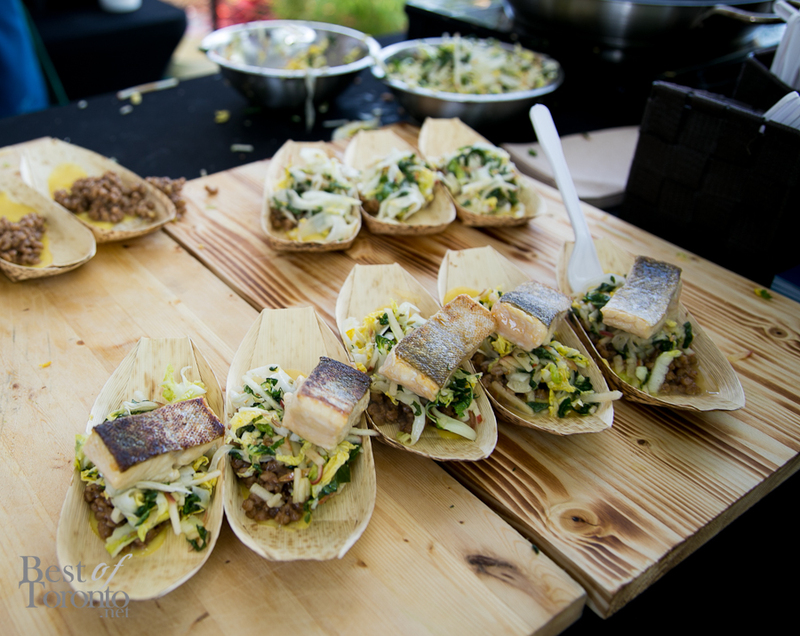 It always brings out the top talent of Toronto’s culinary scene with each station serving recipes using the best sustainable seafood while at the fun environment of the Toronto Zoo. At last year’s Seafood for Thought there was a baby penguin posing on the grass to everyone’s delight. Photo opportunities were welcome. Petting the sting rays and meeting the colourful parrots were also a nice touch. 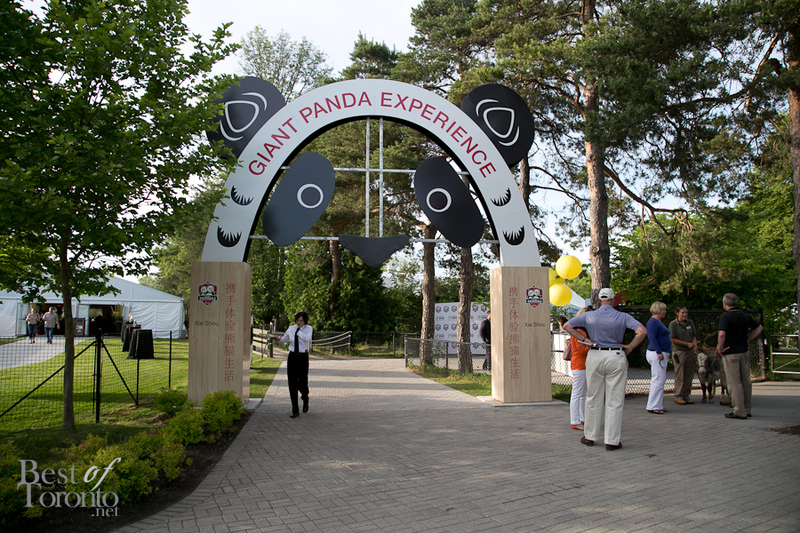 But unlike last year where we were treated to a downpour of heavy rain, the weather cooperated this year to give us a perfect sunny evening at the new “Giant Panda Experience” area of the Toronto Zoo. 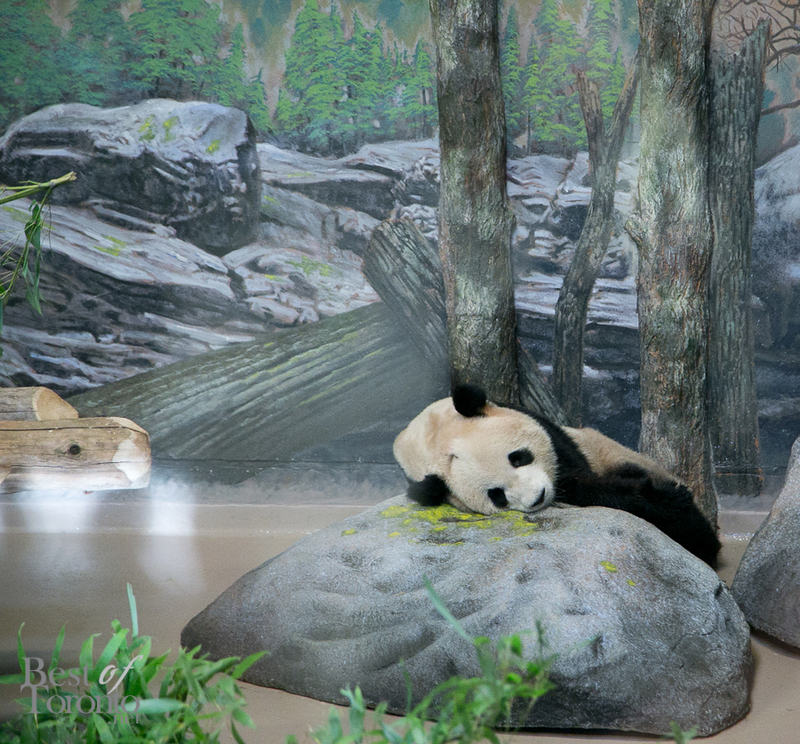 It was very befitting since the pair of Giant Pandas have just recently arrived from Chengdu, China. 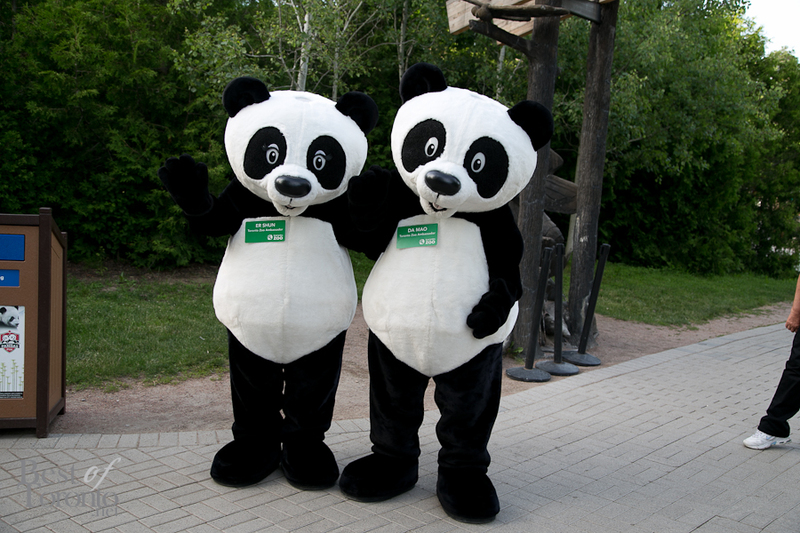 We wrote all about the Giant Pandas and their arrival via Fed Ex’s “Panda Express” to the Toronto Zoo in March here. They’ll be at the Toronto Zoo for 5 years followed by another 5 years at the Calgary Zoo before they return to Chengdu, China. We were greeted at the first entrance by the giant panda mascots, followed by the second entrance with the adorable donkey. Inside, the event was packed with guests. 12 top chefs including Jason Bangerter (O&B Canteen and Luma), Trista Sheen (Crush Wine Bar), Lora Kirk (Ruby Watchco), David Friedman (Red Fish), Giacomo Pasquini (Vertical Restaurant). Other booths included Drake Hotel and Shangri-La Hotel. PORT restaurant‘s table was a main attraction with long line-ups for their Lake Superior Trout with mango and celeriac puree, Canadian barley risotto, apple & fennel and tip choy slaw. A nice touch was that wooden food trays with built-in drink holders were available for guests to use to free up a hand. More food-centric events need this! So if you’re an animal lover, a foodie, or even an environmentalist and you haven’t been to Seafood for Thought, you must put this annual event on your calendar. The goal of the Seafood for Thought events is to raise about the importance of choosing sustainable fish and seafood products so that we all ensure a environmentally-responsible future with an abundant and healthy aquatic ecosystem. Seafood for Thought is an event that young (19+) and old can appreciate while learning about smart and delicious seafood choices. Tickets were an incredible deal at only $85 each or $150 for 2 tickets, all inclusive of food and drinks, entertainment and zoo attractions. Even the $10 parking is included. 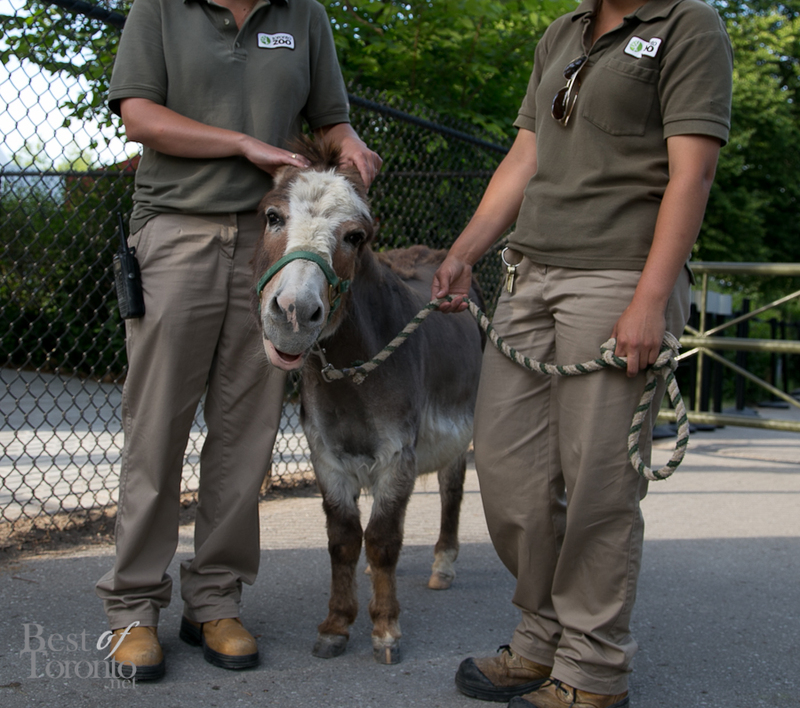 No matter how old you are, going to the zoo makes you feel like a kid again. And what better setting to do so while having delicious sustainable seafood and drinks with your friends and family. 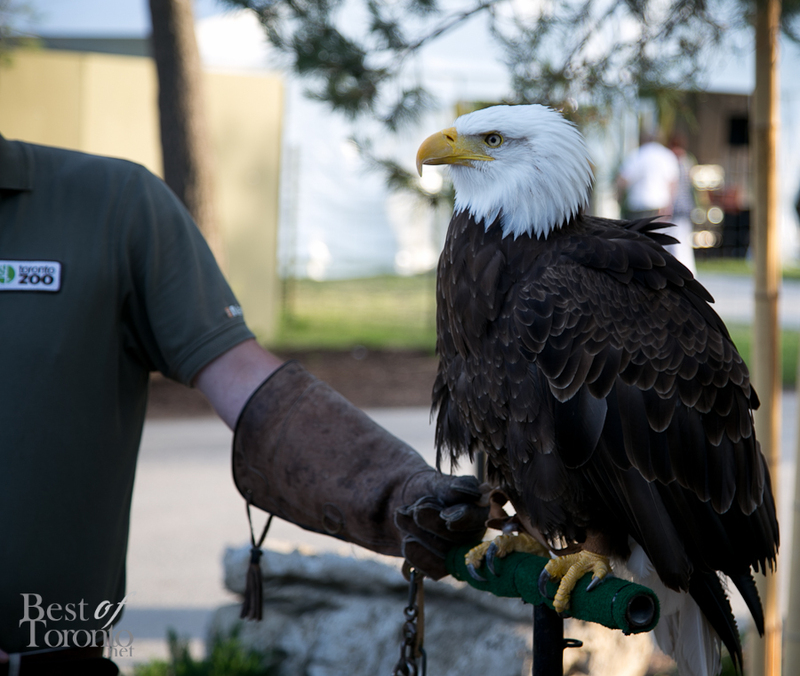 Check out Toronto Zoo’s official video from the 2010 Seafood for Thought event. As amazing as my first time at Seafood for Thought was last year, this year was even better when combined with the viewing of the pandas. 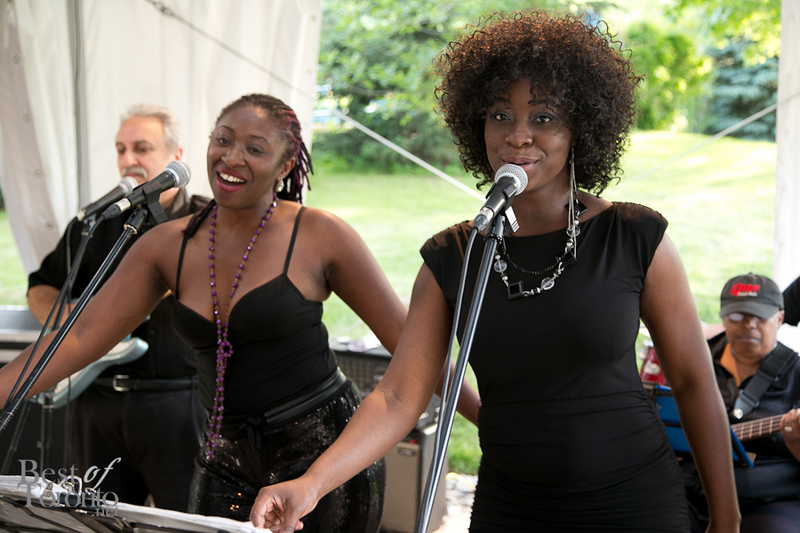 Watch for this as we put together our list of favourite events of 2013! The Ocean Wise symbol next to a seafood item is the Vancouver Aquarium’s assurance of an ocean-friendly seafood choice. With over 3,100 Ocean Wise partner locations across Canada, Ocean Wise makes it easy for consumers to make sustainable seafood choices that ensure the health of our oceans for generations to come. 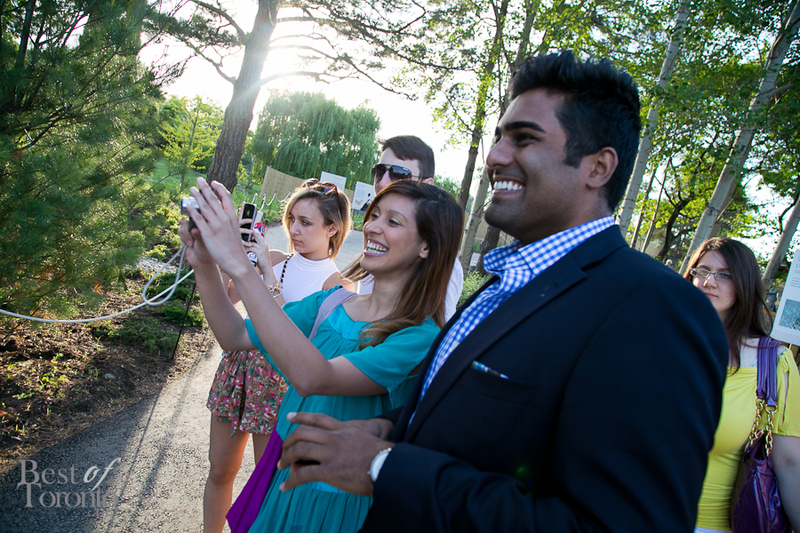 Scroll down for more photos and also check out our photos from last year’s Seafood for Thought 2012. Chinese Giant Salamander exhibit coming soon to the Toronto Zoo!